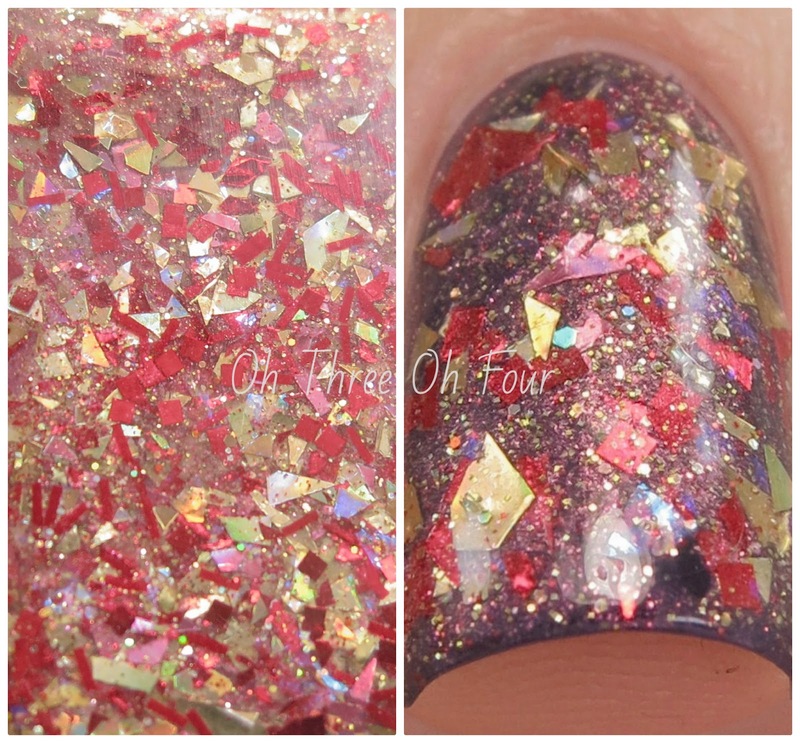 Queen for a Day is made with red, gold and gold holographic glitter shards in a clear base spiked with gold holographic microglitter and red-gold shimmer. All nails are 1 coat over 1 coat of Sephora Hey DJ! Date Night is a blackened navy blue with intense blue shimmer and pink sparks. Shown is 3 coats over bare nail. Lynnderella Advents are a limited edition lacquer that can be found through Lynnderella.com. Interested in core colors and are international? Check out Norway Nails and Glitter Connect! Follow the Lynnderella fan pages on Facebook, Twitter, Instagram, Pinterest and Tumblr.